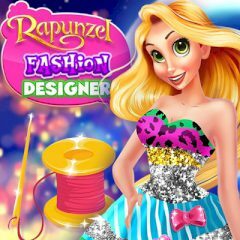 Rapunzel decides to change her activity and become a fashion designer. Your first order should be marvelous. Take care of every detail and create a good product! Rapunzel is willing to become a fashion designer and today her dream comes true. With your help she will show her clothes to the respectful people, that have a power to stat the brand. Well, don't waste that moment!